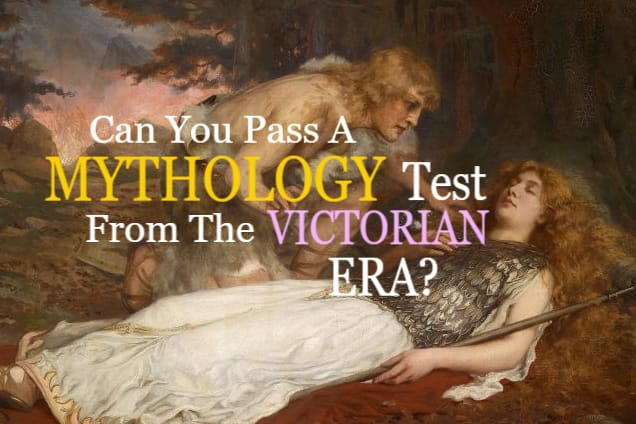 Can You Pass A Mythologies Test From The Victorian Era? Which Greek God resides over thine seas? The Valkyrie depict victory in which mythology? In which river to the Dead reside? To which heavenly body [planet], then, is the King of all Greece's Gods, Zeus, associated? To whom do you pay respects for hunting? To whom does King Arthur pledge his love? To where do the highest of Greek Gods call home? To whom is the Parthenon built? What name was given to Thor's mighty hammer? From whom does King Arthur retrieve Excalibur? Fantastic! By getting more than 75% of these tough questions answered, you've passed a test written for London university students in the last 1800's Victorian Era! A master of both Greek and Norse mythology, you've known an incredibly high knowledge of these two European mythologies - both of which were all the rage in the Victorian Era. Want to keep going? So do we! Click below for more wonderful Mythological quizzes! You didn't pass! This was a hard one, wasn't it? But not to worry! You can simply retry by refreshing the page, or more on to more fantastic Mythological content!